When it comes to feeding your plants and getting maximum performance and yield, we don’t like to cut any corners. 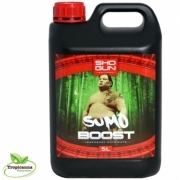 SHOGUN Fertilisers was born out of a desire to create something special, something new for the hydroponics market. Not just another basic set of feeds, but something truly exceptional borne out of years of research, development and commercial application. 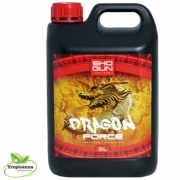 We’re a UK company with a wealth of experience of what growers really want from their nutrients and additives and have created a range of shogun nutrients that combine exceptional performance with great value dilution rates. 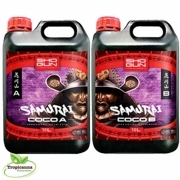 Our current product range includes a series of additives as well as our newly released Hydro and Coco nutrients and we have plans to further expand this range as future products pass through our rigorous development and testing procedures. There’s a world of difference between a basic NPK nutrient and the products we create. Sure we could have put a few basic mineral salts into a bottle, but that’s not what we’re about. Our products have to be better than what’s already available or we simply don’t release them. 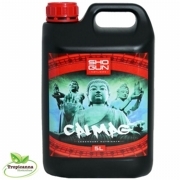 Our experience in commercial horticulture and our research led approach to product development means that our products are technically superior in almost every single way. 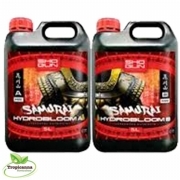 Innovative developments such as SmartZen and AquaZen are simply light years ahead of anything else available and these are just a tiny part of our base nutrient! 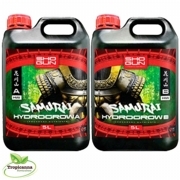 SmartZen is an amazing additive that improves plant performance by up to 8% over a standard NPK formula nutrient. 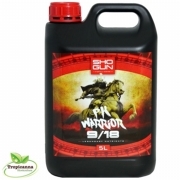 AquaZen is an unbelievable additive found in our coco nutrients that actually slows down the flow of water through the media for superior media wetting, less waste and higher nutrient absorption potential. 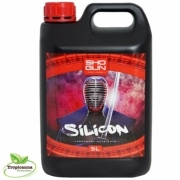 It is these kind of innovations that set us apart and it is these kind of developments that we are constantly striving to bring to our range, including shogun fertilisers.